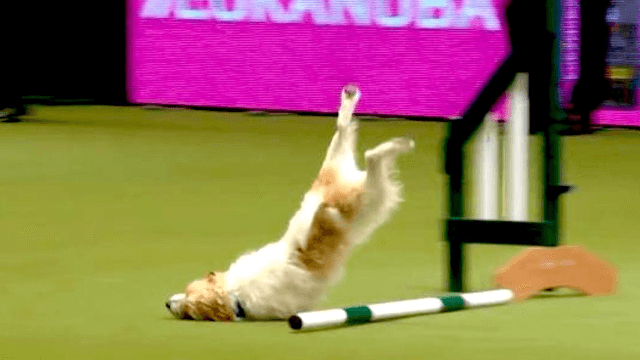 Commentator loses it when overexcited terrier goes nuts on dog agility course. A new star was born during the recent Crufts dog show in Birmingham, England. 5-year-old Olly, a Jack Russell terrier, has become an internet sensation with his adorably terrible performance in the rescue dog agility competition. While certainly agile, Olly lacked focus, constantly running in the wrong direction, evading his handler, and face-planting on the ground. But he couldn't have cared less—he was having the time of his life. And so was the color commentator, who could barely contain himself. The world needs more dogs like Olly.